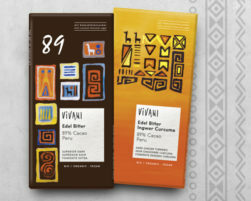 With Peru, VIVANI is adding another exciting cocoa country to their chocolates' "Single Origin" series. 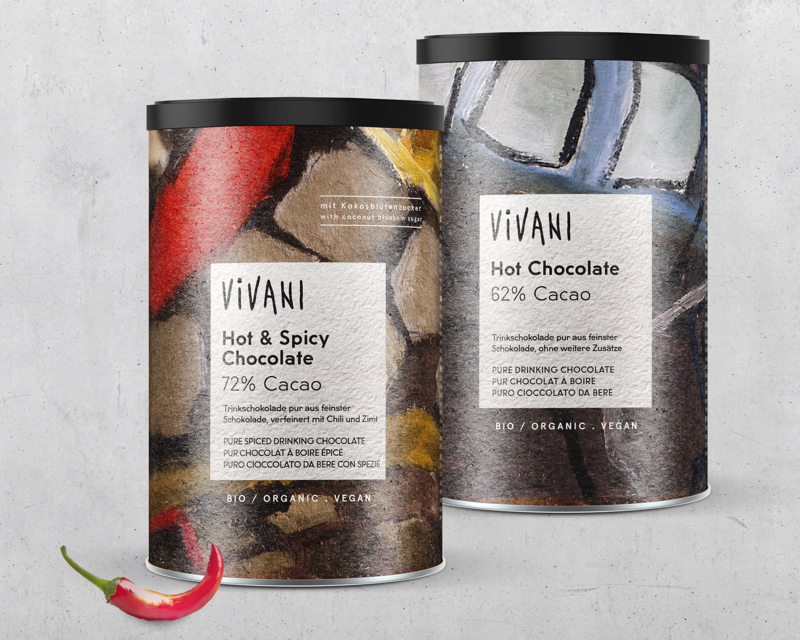 The new series starts with two characterful dark varieties. It enjoyed cult status some 2.500 years ago: liquid chocolate – the Aztecs revered it as a gift from the gods. 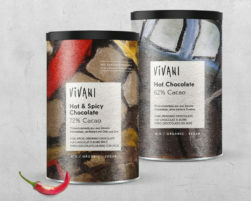 VIVANI has now captured this divine charm in an artist-designed tin. 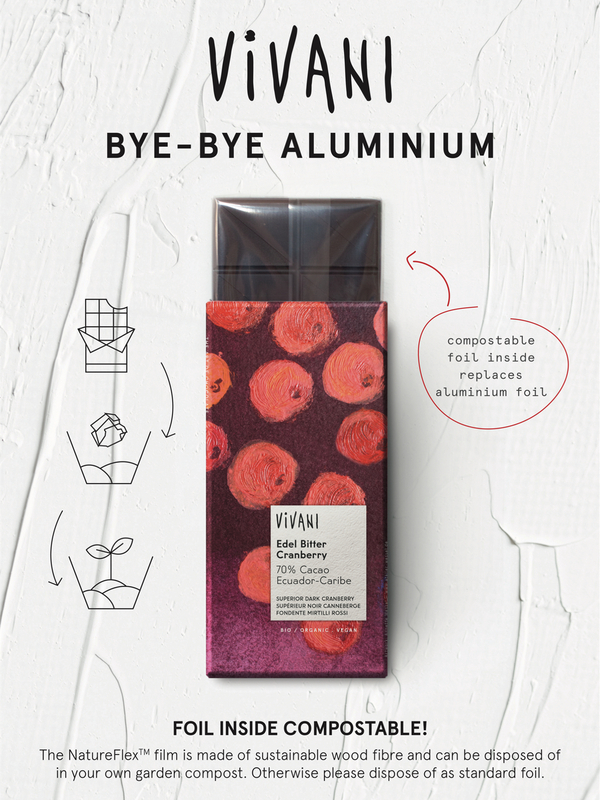 VIVANI uses 100 % ecologically correct packaging materials. 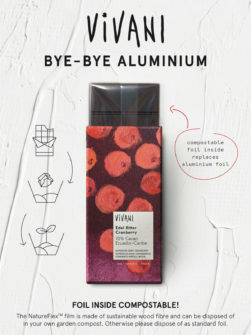 This sheets explains the advantages of the sustainable Natureflex foil. Black VIVANI logo on transparent background.